The smallest full moon of 2014 rises in the night sky tonight (Jan. 15), and there's some interesting science behind the lunar sight. Two years ago, there was a great flurry in the media about a so-called "Supermoon," which was to occur on March 19, 2011. Supermoon was a term invented by astrologer Richard Nolle many years earlier to refer to the coincidence between two astronomical events: a full moon and lunar perigee, when the moon is at its closest point to Earth. 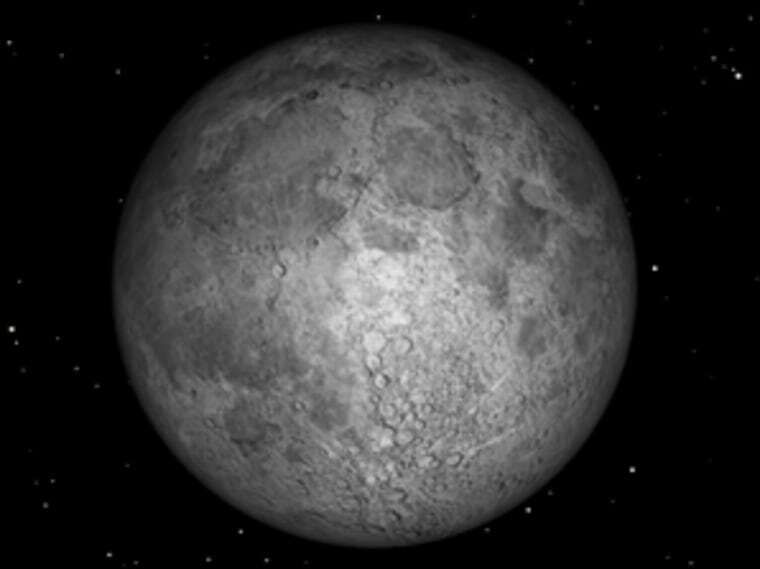 A "Minimoon," like the one rising this week, is a full moon at apogee, or its farthest point from the planet. The important thing about these four way stations in the moon's trip around the Earth is that they are all instantaneous events, marked by exact geometry. Astronomers can calculate these times months, even centuries, in advance. The second factor that enters into the making of a Supermoon or a Minimoon is the moon's slightly elliptical orbit, which brings the moon close the Earth during perigee and farther from Earth during apogee. The moon's apogee and perigee shifts slowly around its orbit, but at a different rate than the date of full moon shifts through the month. When perigee and full moon are close together, as happened on March 19, 2011, and will happen this year on August 10, the moon appears larger than average, known as a Supermoon. This week, the opposite happens: the full moon is close to apogee, so the moon appears smaller than average, which I'm choosing to call it a Minimoon. The trouble is, the difference in size between Supermoon and Minimoon, though apparent when placed side-by-side, is only 14 percent, too small to be seen with the naked eye. This is especially true when the moon is high in the sky with nothing to compare it to. There's also an optical illusion known as "the moon illusion," which makes the moon appear larger to the human eye when close to the horizon and smaller when overhead, even though the moon is exactly the same size. So, if you look for the moon just after sunset tonight, it will probably look really big to your eyes, even though it is actually the smallest full moon of the year. Just another reason why detectives don't trust "eye witness" reports. Editor's note: If you have an amazing night sky photo of the Minimoon that you'd like to share for a possible story or image gallery, please contact SPACE.com Managing Editor Tariq Malik at spacephotos@space.com.